Lansing resident Jeri Villa (white shirt) attended the July 15 information session. She received more information than she realized she needed, and is planning to attend a follow-up session on July 22. 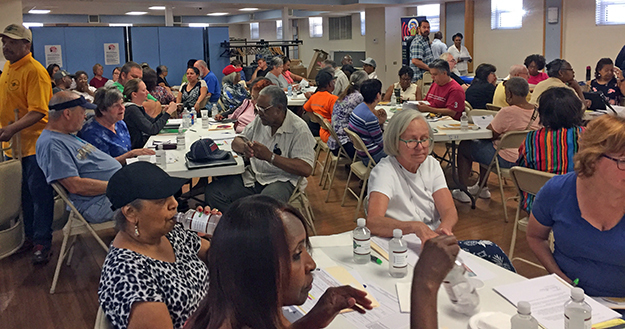 SOUTH HOLLAND, Ill. (July 15, 2017) – Nearly 300 people crowded into the lower level of the Thornton Township headquarters in South Holland for the first in a series of seminars for township residents. Since 2017 is the year of the Cook County Triennial Property Tax Reassessment, Thornton Township Assessor Cassandra Holbert anticipates that residents will have questions about what the reassessment means and how they should respond. Her office has organized 12 information seminars scheduled at various times and places in 8 different villages across the township. 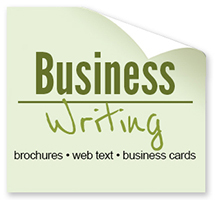 The Lansing workshop is scheduled for Tuesday, August 22, at 6:30pm, at the Lansing Public Library. Cassandra Holbert (standing) brings a wealth of experience and knowledge to Thornton Township. 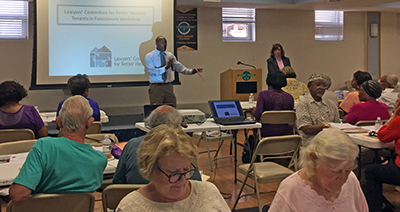 The July 15 session had been advertised as a Property Tax Assessment Workshop, but it also included presentations on foreclosures, mortgage assistance, credit repair, and avoiding probate when transferring property after death. Lansing resident Jeri Villa attended the three-hour meeting. She wanted to make sure she could continue to apply for an exemption on her property assessment, and she came away with more information than she was expecting. 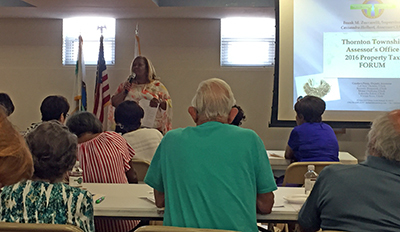 “Wow…I never knew some very important, but simple, facts about applying for an exemption for a senior!” she said after the seminar. “Nobody ever made that clear before.” As Thornton Township Supervisor Frank Zuccarelli explained between sessions on Saturday, Cassandra Holbert is a real asset to the township. She retired from serving as a Cook County Assessor in Joseph Berrios’s office, and she brings all that knowledge to her role as Thornton Township Assessor. She considers herself an advocate for taxpayers, and her office is available to “help our residents understand their property taxes,” she says. Thornton Township Director of Communications Ernst Lamothe (standing) believes Thornton Township was voted Township of the Year because of all the services and resources it provides residents. 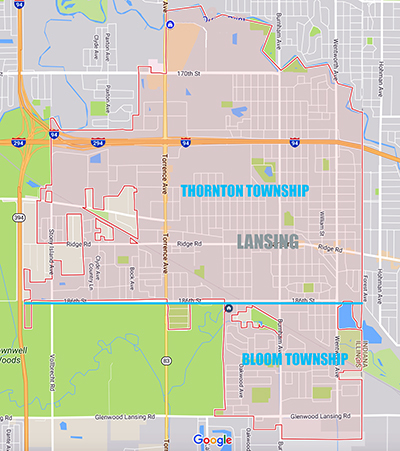 More than two-thirds of Lansing is in Thornton Township. More than two-thirds of Lansing is in Thornton Township (the rest is in Bloom Township), and Thornton Township is the largest township in Illinois. 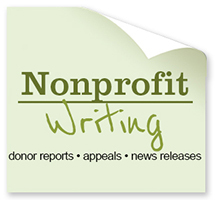 That gives Lansing residents access to a broad network of people, information, and other resources. 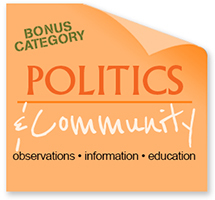 Ernst Lamothe, Director of Communications for Thornton Township, explained that practical seminars like these are one of the reasons Thornton Township was awarded 2016 Township of the Year. Interested in more Lansing news? A group of Lansing residents wants to provide it. 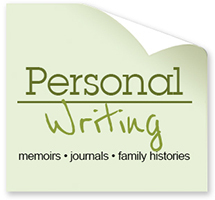 Visit TheLansingJournal.com to be notified as progress unfolds….